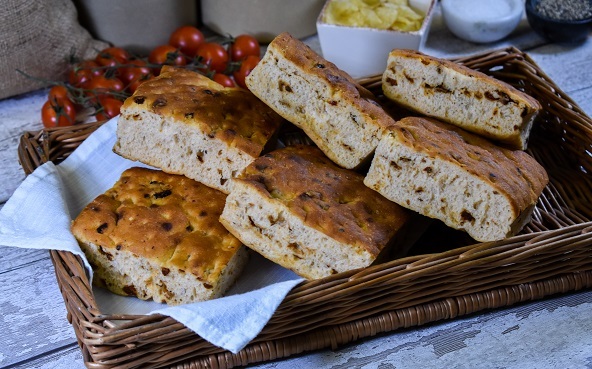 Our range of speciality buns and baps includes flavoured buns, buns using alternative flour such as the potato bun and buns with a bit of extra sparkle. We also make coloured bread using spinach and paprika so get in contact with us if you’re interested in those flavours in buns (or get in touch if you want us to try a new flavour)! Potato buns are made with potato flour, creating a light and fluffy texture. Comes in boxes of 48. White burger bun with a pretzel coating. Comes in boxes of 48. White bun with a glitter glaze, comes in boxes of 40. Beetroot buns come in boxes of 48, available sliced and un-sliced. 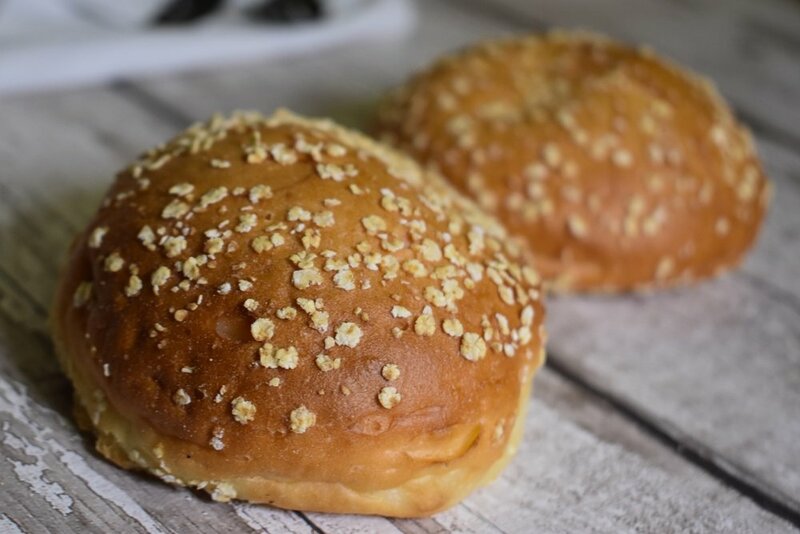 Football baps are available glazed, un-glazed or with a semolina topping. Come in boxes of 40. Hot cross buns come in packs of 4 in boxes of either 48 or 64.